This is another example of the types of textures and colors that are evident in my work. 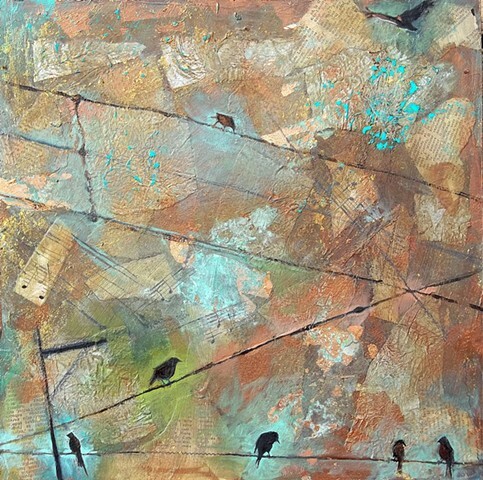 The birds on wires remind me of musical notes on scales. The sounds the birds make are often overlooked, but if you listen closely, you will hear that they have their own language.